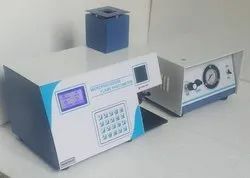 Microprocessor Flame Photometer is an ideal instrument for determination of concentration of Sodium, Potassium, Calcium and Lithium in the samples.Extremely useful instruments for Medical and Laboratory use. 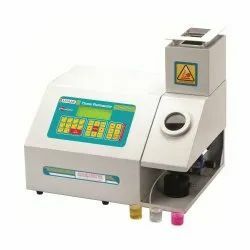 Microprocessor Flame Photometer, STS 1385 is an ideal instrument for the determination of Na, K, Ca & Li. - µp based with printer interface. - 4 element measurement in single aspiration of the sample. Range Na : 0.1 to100. K : 0.1 to 100.